Even the smartest, most on-top-of-things couple can make mistakes during wedding planning. Here are the things you should keep an eye on before saying I do. If you have started planning your wedding, you know it can cost a lot of money. Many excited brides start booking wedding professionals and making purchases without having a real budget, and then they’re shocked to discover they’ve spent all of their money (or their parents’ money) and still don’t have half the things they need. Planning a wedding is serious business. Make a wedding budget and keep track of your expenses. If you are not going to buy your wedding dress “off the rack,” then you need to place your gown order six to eight months prior to your wedding. Most gowns are made to order. 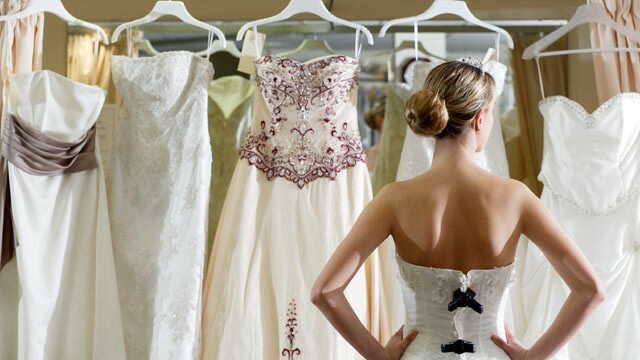 If you wait too long before your wedding date to make your selection, you may risk the gown not arriving on time. Bridesmaid dresses should also be decided upon during the same time period, but only after your gown has been selected. You want to make sure your ladies have enough time to get measured and find accessories. Reserve rooms as early as possible for your out of town guests. Begin your research up to a year in advance, and make sure your block is booked at the eight-month mark. Be sure to include hotel information in your save-the-date cards or invitations. 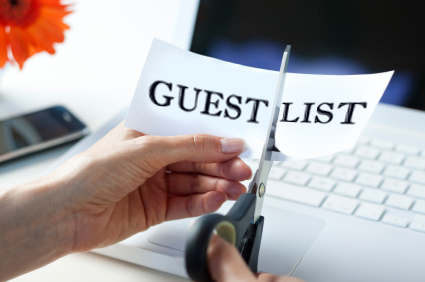 Make sure your guest list and your reception site capacity match up numbers-wise. You can’t invite 500 people assuming only 350 will accept. 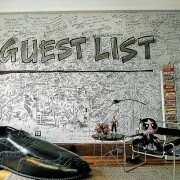 Analyze your guest list from the get-go, assume 80% will respond yes, and limit your guest list accordingly. 5. Not hiring wedding professionals. Would you have a friend fix a plumbing problem? Of course not. You would want a professional plumber to come in and do the job right. Same goes for your wedding. 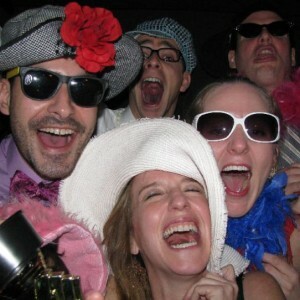 You want professionals who do this for a living – wedding photographers, DJs, videographers, florists, wedding coordinators, etc. 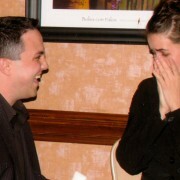 They have the experience and skills to help you have the wedding of your dreams. There are wedding professionals that fit every style and budget. Rely on them to keep you stress-free. 6. Rain or shine? Don’t ignore weather warnings. Brides marrying outdoors often test fate and just wish for the best when it comes to bad weather. Always have a backup plan, or else you may not have a place to marry at all — or your guests (and you) may be in misery at the hands of Mother Nature. A hurricane, flashflood, or gale force winds may visit on your wedding day; make sure you have an interior alternative or a tent as a back-up location. 7. Forgetting to focus on what’s important. Keep in mind that you are getting married and starting a life together, not just planning a wedding. Brides, be good to your grooms. And grooms, be good to your brides! Some tension between the two of you (and among members of your family) is inevitable due to the sticky topics that weddings stir up, but don’t ever let things get out of control. Remember why you decided to take this leap in the first place!